1. 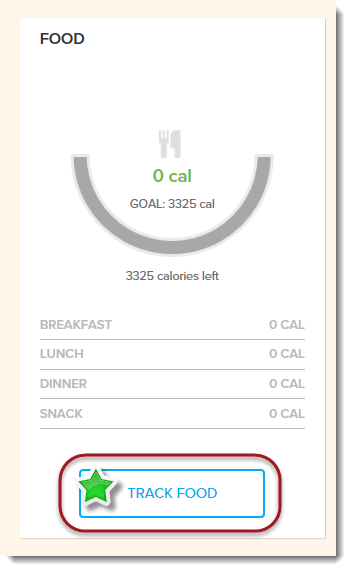 From your dashboard, in the Food section, click Track Food. 2. Click the Make Recipe link. 3. Enter the name of the recipe in the Recipe Name field. 4. Indicate the type of food in the Food Group field. 5. Enter the number of servings that the recipe will yield. Use the following format when entering servings: number, space, text (for example: 4 servings or 6 cups). 6. Enter the first ingredient. 7. Enter amount in the How Much of This Ingredient field. Tip: For any decimal entries, enter a zero first. For example, if you are entering 1/2 cup of flour, enter 0.5 (instead of .5). 8. Continue clicking Add Food to Recipe until all of the ingredients are entered. 9. Click Save. A new custom food will be created based on what you've entered. 10. 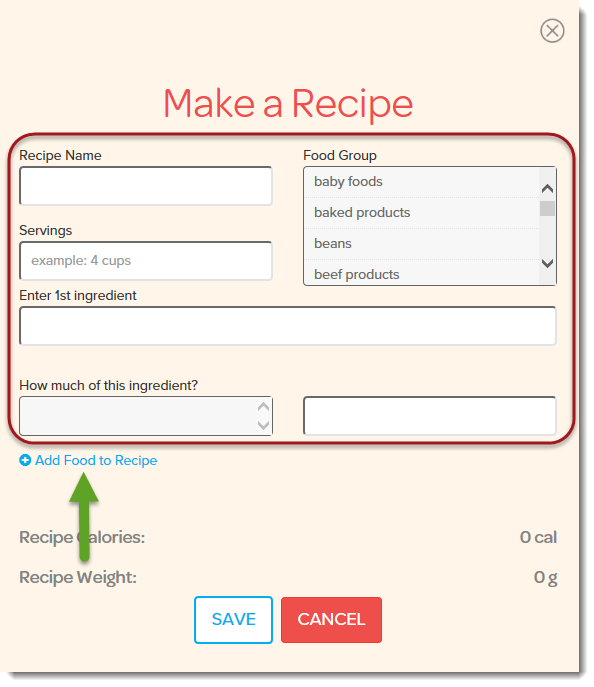 To access the saved recipe you just created, simply type in the recipe's name, just as you would to search for a standard food item. Your recipe is saved only to your user profile and will not be visible to other Real Appeal Effect members.